The splendid finale of Miss International 2017 just concluded with the crowning of Kevin Lilliana from Indonesia as Miss International 2017. Kylie Verzosa Miss International 2016 crowned the winner and passed on her reign in this spectacular gala night. 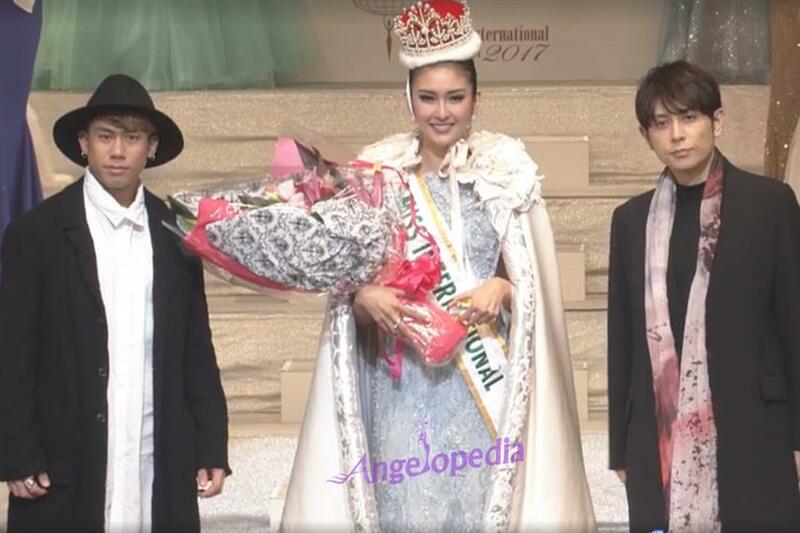 She becomes the first beauty from Indonesia to win Miss International 2017. Kevin Lilliana looked prettier every day in Miss International 2017 and was always one of the top contenders in this race with her incredible talent and experience in beauty pageants. A model by profession, Kevin is 21 years of age and stands at 177 cm. She is the ambassador of Environment in Indonesia. Hailing from Bandung province, Kevin impressed one and all with her special talent of playing Indonesian traditional music instrument ‘Angklung’ in the talent round as well. 4 out of Top 5 were in our Top 20 favourites. Remaining Top 16 finalists were Pihla Koivuniemi (Finland), Akorfa Daniella (Ghana), Vanessa Villars (Honduras), Darelys Yahol Santos (Panama), Petra Varaliova (Slovakia), Tayla Skye Robinson (South Africa), and Lookpat Ratiyaporn (Thailand).